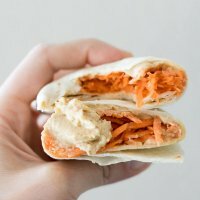 Shredded Carrot Roasted Garlic Hummus Wrap - 3 Ingredients! 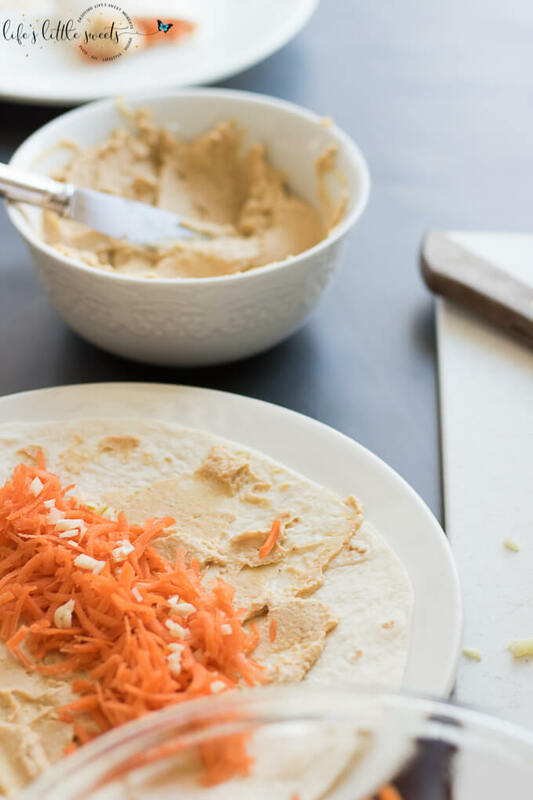 This Shredded Carrot Roasted Garlic Hummus Wrap is the perfect and simple healthy lunch. 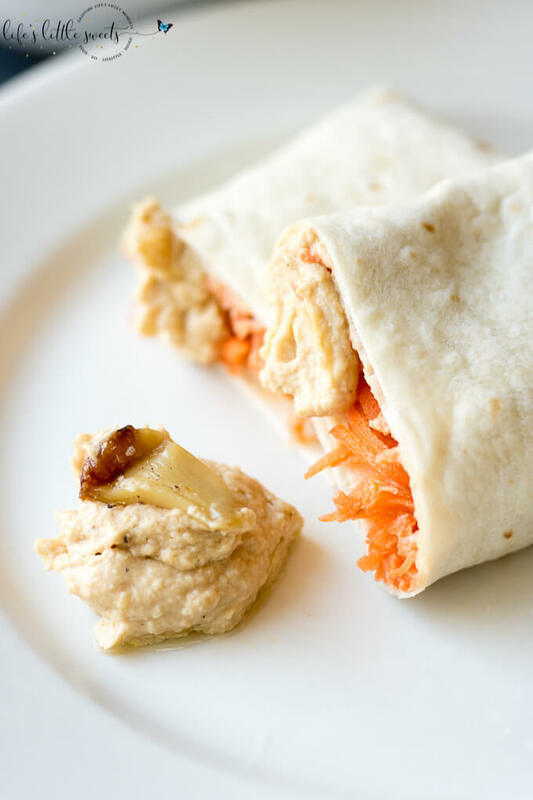 Loaded with fresh shredded carrots and roasted garlic hummus, it has both crunch and flavor. 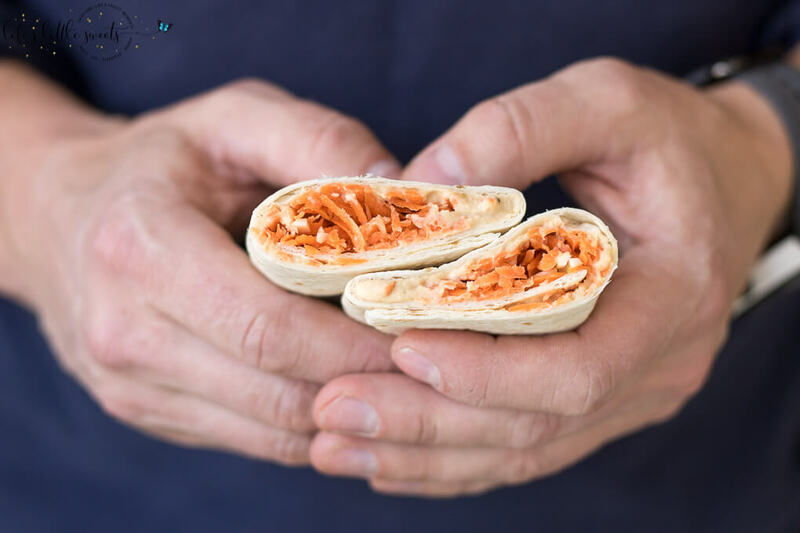 Hi Everyone, it is so, so simple, just at minimum, 3 ingredients: shredded carrots, roasted garlic hummus and your favorite wrap which makes this Shredded Carrot Roasted Garlic Hummus Wrap. 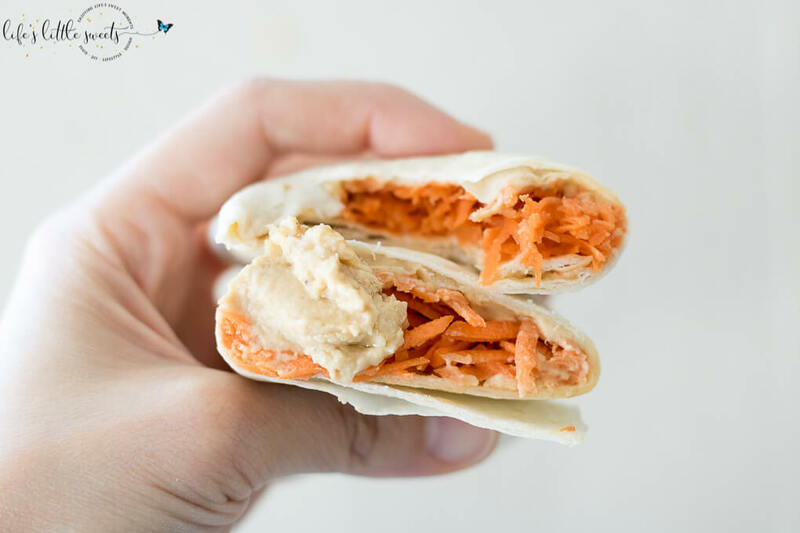 The purity and sweetness of the carrots go so nicely with the savory, roasted flavor of the hummus. 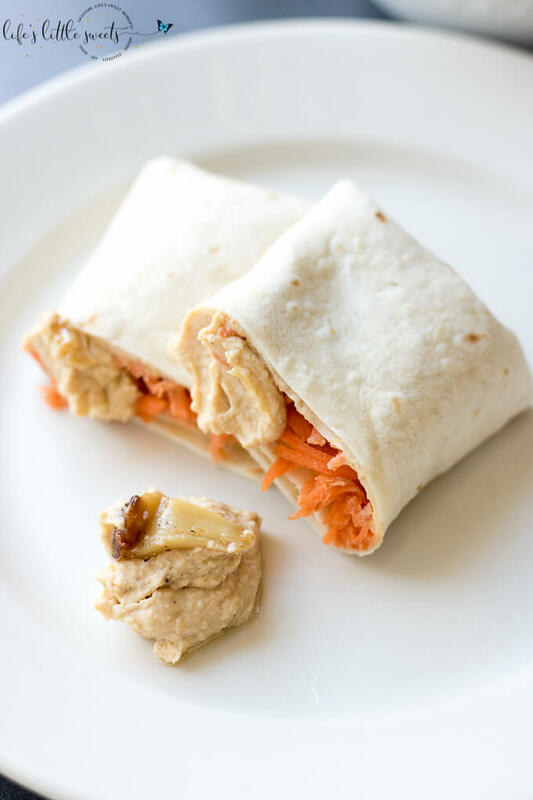 This wrap uses a recent recipe posts Roasted Garlic Hummus and How To Roast Garlic. I credit Eric with coming up with the idea for this wrap. He LOVES carrots and being super healthy and fit (a good example for me to follow since I love sweets so much!). I never used to like carrots that much before I met him and I learned to value carrots because of him. Using a food processor makes easy work of these sandwiches. Use it to shred the carrot and make the hummus! You can also use a box grater to grate the carrots if you don’t have a food processor. This is a more updated version of my food processor, it’s such a work horse, we use it almost every day! 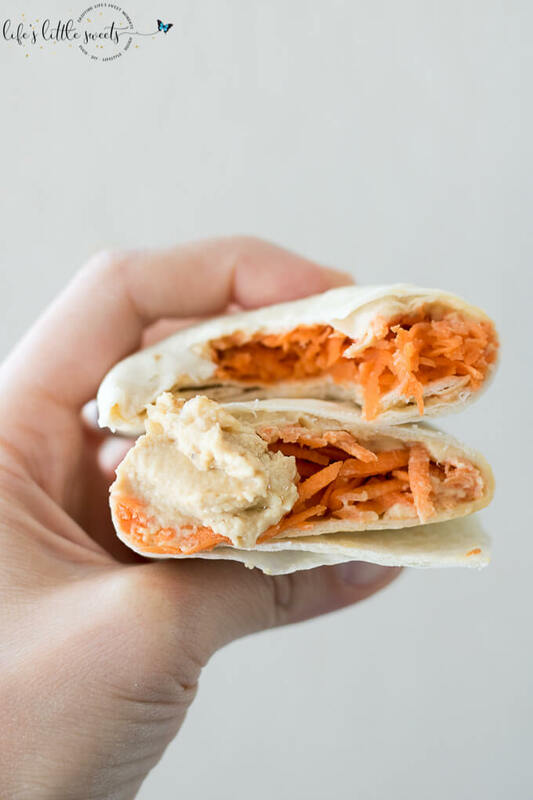 These hummus wraps would also be good for parties, I could totally see a platter of these babies being gobbled up. 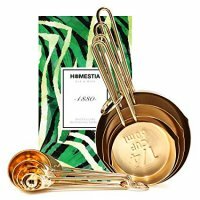 How easy would these be able to prepare for work or an afternoon snack? 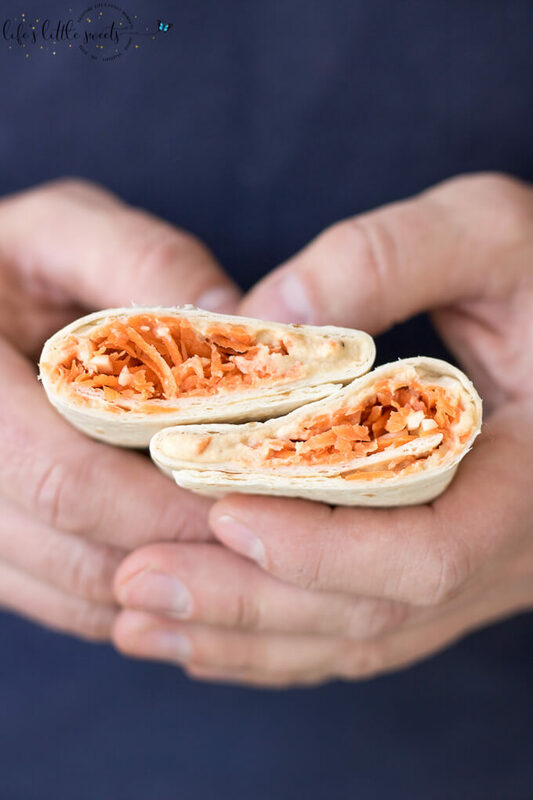 You can also keep a bunch of shredded carrot in the fridge for easy preparation. 1/2 cup Roasted Garlic Hummus, Search LLS "Roasted Garlic Hummus"
Spread the Roasted Garlic Hummus on the wrap. 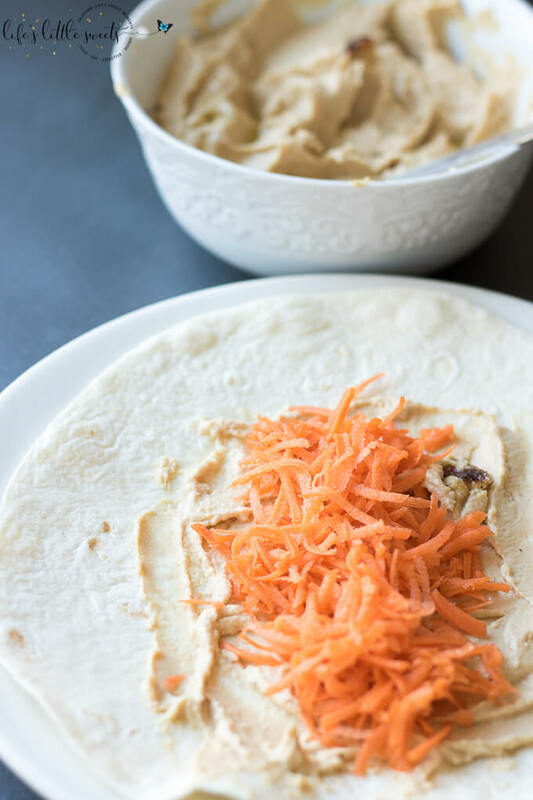 Add the shredded carrot to the hummus on the wrap. Optionally, add salt and pepper to taste. Wrap up your sandwich and slice in half, if you wish. Enjoy! You can easily adjust the ingredient amounts for serving more people.